This is an original black glass rear case for the iPhone 4 including the silver Apple logo, Camera Lens and Mounting Frame. If you have damaged your rear case in any way, or just feel like a new one, this is the ideal part for you! 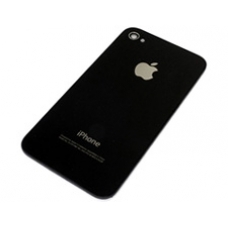 Please note our iPhone 4 rear case part even has the fingerprint-resistant oleo-phobic coating which is applied to the original iPhone 4 rears, other third party and lower quality iPhone 4 rear parts do not have this specialist coating applied. * Includes the Camera Lens and Mounting Frame.